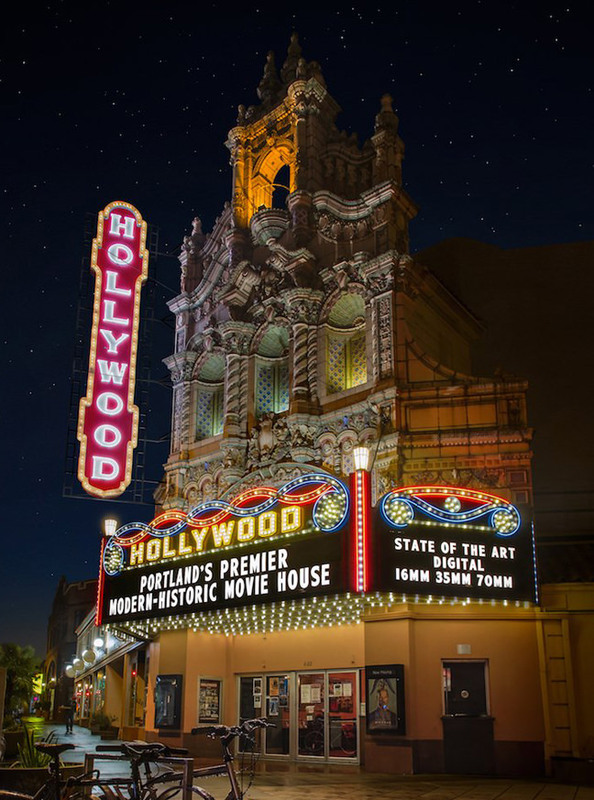 As a historical building, the Hollywood Theatre is limited in its ability to meet ADA requirements, though we remain committed to servicing patrons with mobility issues whenever possible. While our ground-level auditorium is wheelchair-accessible, our two upstairs auditoriums are not. Please feel free to contact us at 503-493-1128 regarding the placement of films on any given day. In most instances, and with adequate notice, we can modify film scheduling to accommodate access. Our restrooms are currently not wheelchair-accessible, but Hollywood Theatre patrons are welcome to use the ADA-compliant restrooms at Vivienne Kitchen & Pantry and Atomic Pizza, both located in the same building as the theatre.